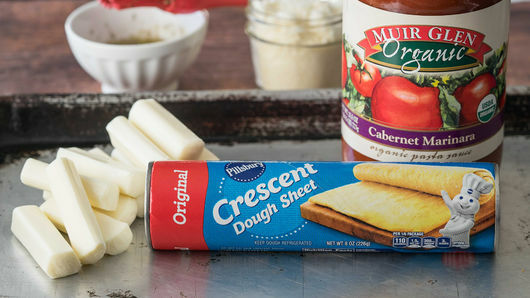 Unroll 1 can (8 oz) Pillsbury™ refrigerated crescent dough sheet on ungreased cookie sheet; cut into 12 equal rectangles. 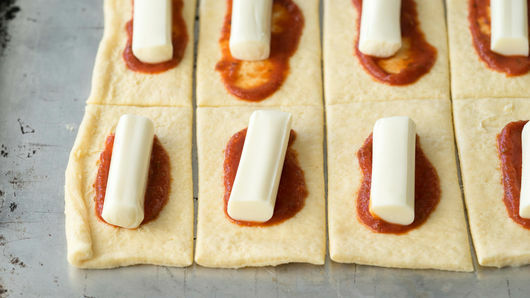 Top each rectangle with 1 teaspoon Muir Glen™ organic cabernet marinara pasta sauce and half of a 1-oz mozzarella cheese stick. Roll up, taking care to pinch seams; place seam-side down on cookie sheet. 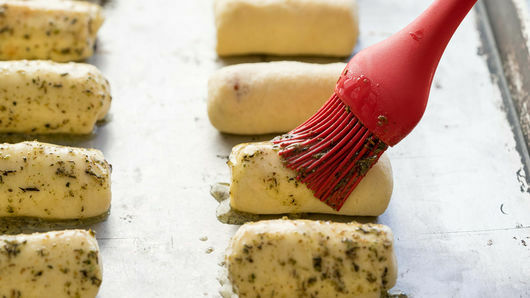 In small bowl, mix 2 tablespoons melted butter and 1 teaspoon Italian seasoning; brush on top of crescent dough sticks. Sprinkle with 1 to 2 tablespoons grated Parmesan cheese. Bake 12 to 15 minutes or until golden brown. Serve hot with additional sauce for dipping. 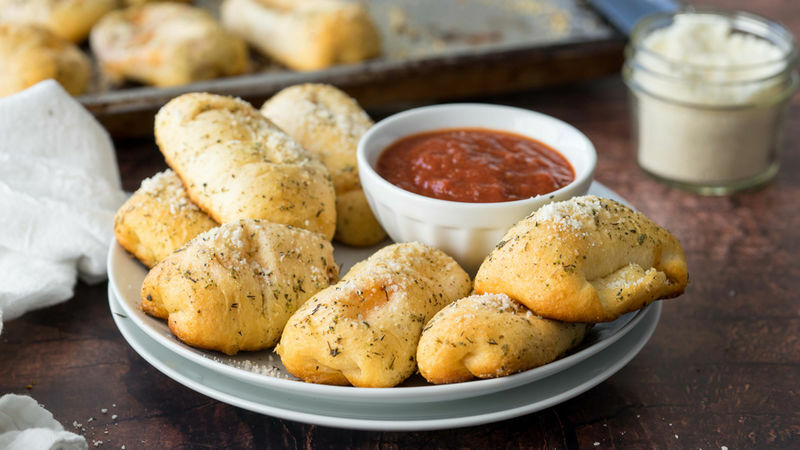 Try adding a few mini pepperoni slices inside each for a pizza-inspired treat! When adding the sauce to the inside, be careful not to let the sauce come to the edges, as this will make it more difficult to pinch the seams closed.